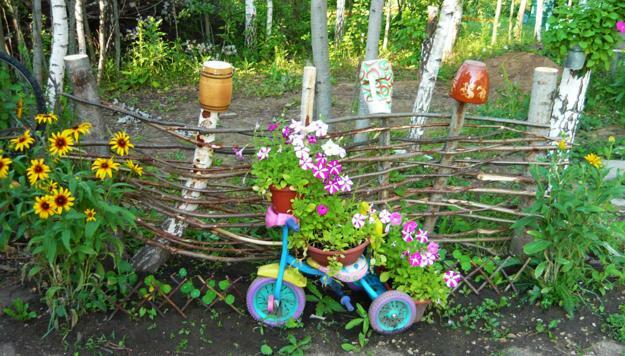 Recycling bikes for garden art and decorations with flowers are a fabulous idea for green folk. 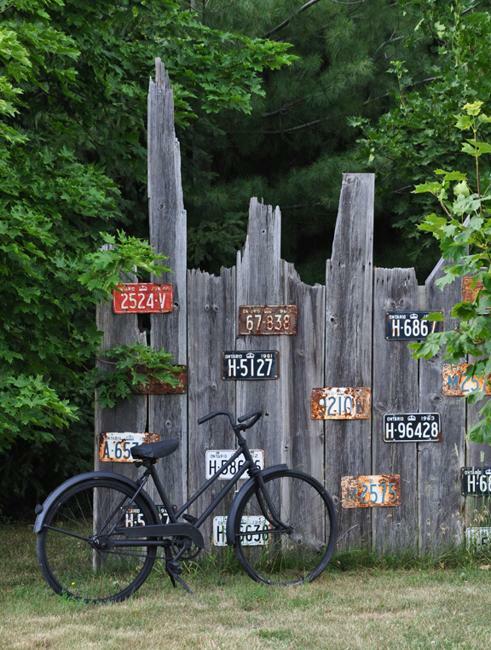 Painted bicycles, wheel rims, and frames easily incorporate old metal things into the outdoor home decor. When looking for unique yard decorations, think of recycling metal and wood which turn into garden art beautifully and effortlessly. 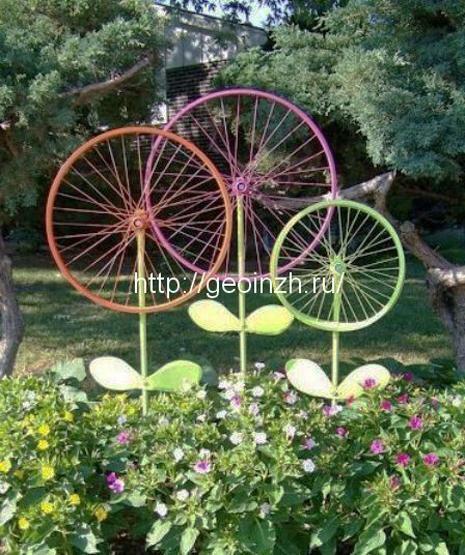 Lushome suggests a few fresh ideas to reuse and recycle bikes and metal rims for yard accents. 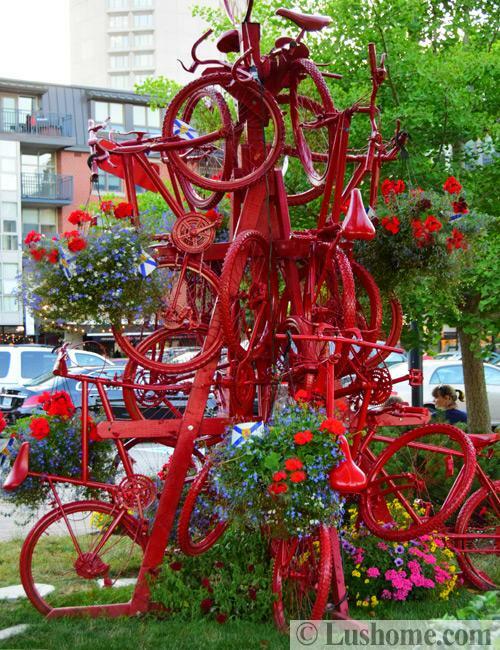 A recycled bicycle makes attractive garden art, reflecting the gardener’s artistic personality. Ingenious projects turn bikes into mail boxes, unique flowers stands, colorful yard decorations, and incredible sculptures. 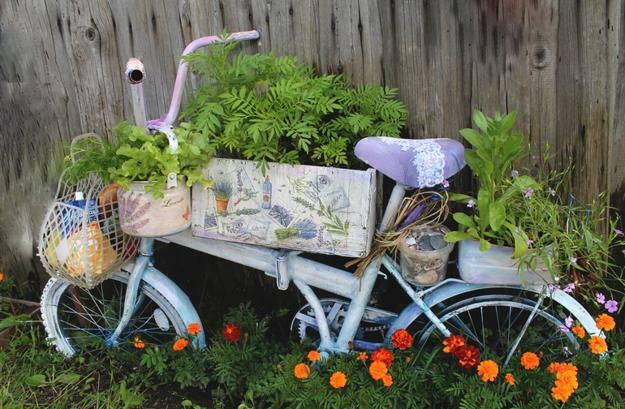 Bikes are perfect for a whimsical garden design that brightens up Green living style. Trush turns into treasure. Metal bike frames reborn in skillful hands. 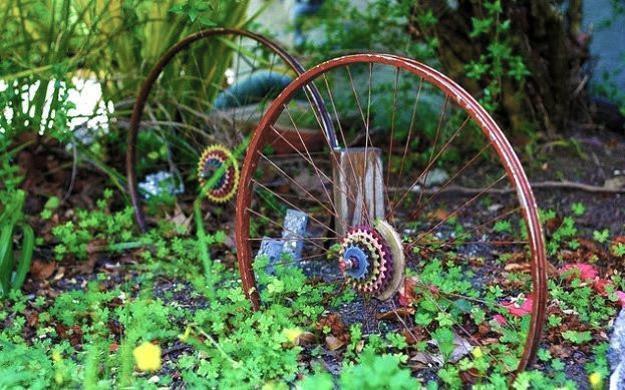 Green living enthusiasts and eco artists, as well as frugal home owners, make fabulous yard decorations from recycled bikes and parts. 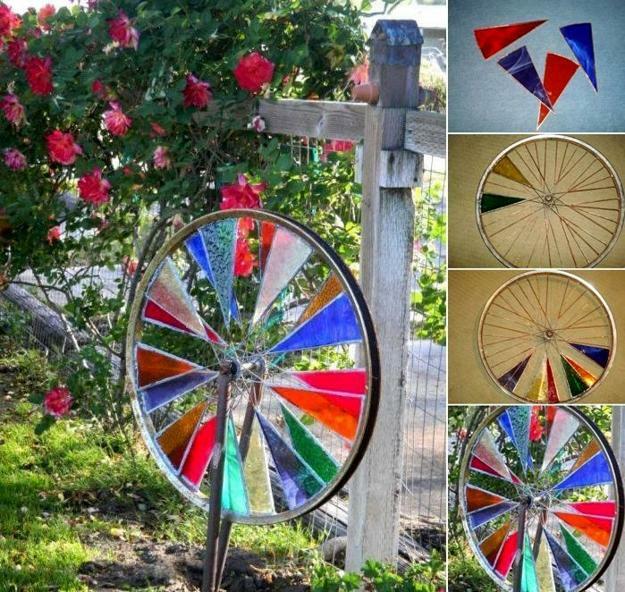 Old wheels, metal rims, and chain rings painted bright colors make inspiring metal art. 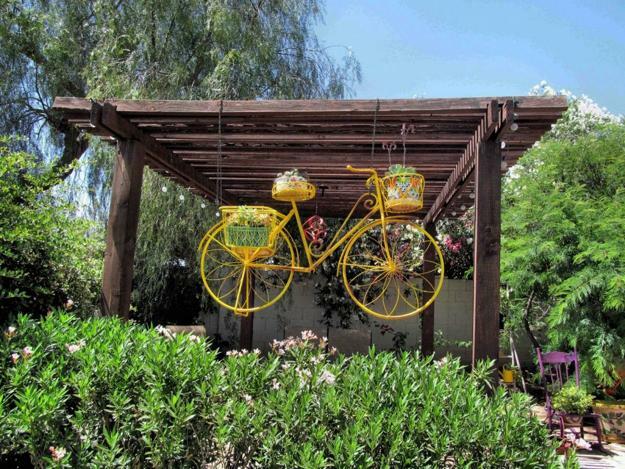 Outdoor decorating with bicycles looks romantic and dazzling. Bikes bring a nostalgic mood and sports optimism into gardens. Unusual yard decorations allow creatively reuse and recycle old things and transform them into something extraordinary and inspiring. 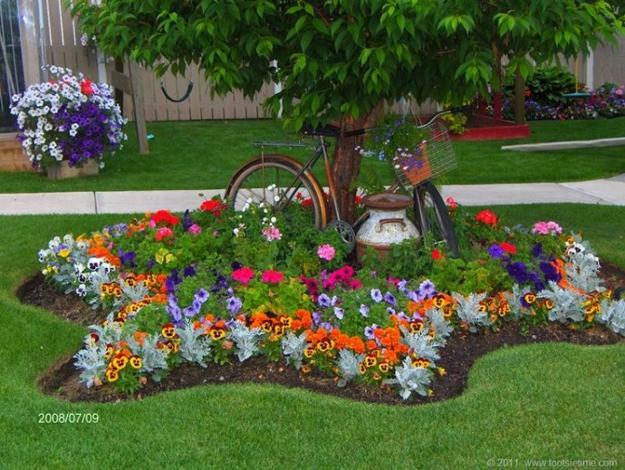 Flower beds decorated with a bike and seasonal blooms make striking pieces. These yard decorations change the way landscaping looks and feels. Saving bicycles from a dump is a new idea to reuse and recycle for beautiful yards. 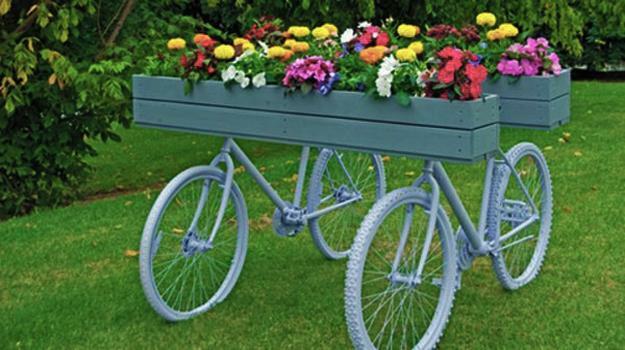 Bike art is one of the modern trends in decorating with flowers. Metal gears and wheels, spokes and handle bars provide fabulous materials for creative designs. Metal rims, chain rings, pedals, handle bars and frame tubes weather nicely, gaining an appealing rusted look which creates beautiful contrasts with lush greenery in summer, falls leaves, and winter snow. Rusted metal parts have a natural appeal, and the earthy colors of aged metal harmoniously blend with the garden. 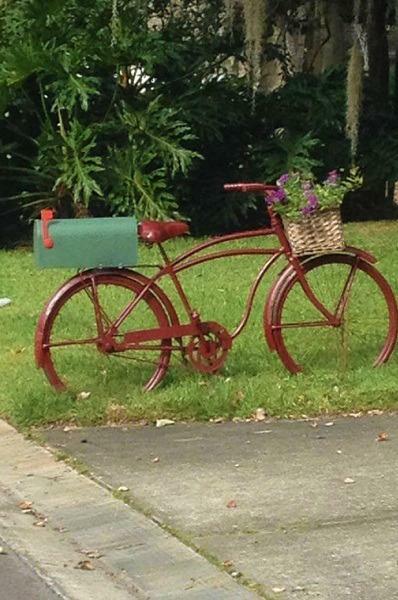 Recycling bicycles for garden decorations is a smart, Green, and saving money idea. Recycled metal art is amazing. Bike parts change outdoors bringing unique character and charm of the familiar and fun things of the past. 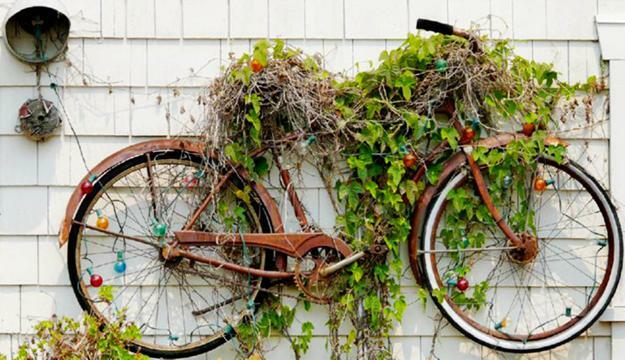 All year round bike garden decorations look incredible. Colorful or rusty, metal art adds fun to garden design. Handmade sculptures, flower beds, stands, and accents recycling bikes enliven yards and give a unique touch to outdoor home decorating.